Thought the square ball rule was scrapped?? Correct. Old rules still apply from placed balls. Game and final is there to be won for Donegal now. As I type a Donegal goal! Come on Donegal. Less of the keep ball stuff. Keep going for it. Meath have badly ran out of steam. FT Donegal 1-17 Meath 1-15. Donegal with a very controlled display 2nd half but Meath it must be said faded badly in that 2nd half. Good comeback, although such a slow start can’t be allowed to happen again. Eight points down in ten minutes! But, they didn’t lie down and young lads like O’Donnell and Gallen really stood up. Some game from Murphy though! Where would we be without him? Meath ran out of stream, but there will be teams that score less against Donegal this year. Kind of a strange one as we’d been focused on finishing strong as opposed to starting strong this year. Perhaps Donegal were a bit slow out of the blocks. But they just seemed to have the edge on us physically and just that bit more streetwise when it came to keeping possession. But we seemed to run out of steam a bit as they had us chasing everything and our shooting let us down at crucial moments when we were struggling to stay in front. Graham Reilly didn’t quite have the impact needed from the bench despite looking frenetic when he came on. Nonetheless we had a good game overall and showed some really positive play. Some of those lads hadn’t played in Croker at senior and this will stand to them. Well done to Donegal on the win, looking forward to playing ye again next year and maybe this summer too. Where has the young lad come out of it? I've never heard him mentioned anywhere before, some performance from an 18 year old. Cian Ward claimed last Monday Meath were at championship pace in January so I'd worry about them making an impact come the height of summer, the draw has been kind to them so should make an Leinster final so have a good chance of making the super 8's dependent on draw. Donegal have a lot of good younger players, easily top 3 in the most talented bunch of 19-22 olds in the country. Donegal seem to have a lot of top younger players and plenty of top players aged 29+ but not many in the 23-28 age range, similar to Kerry. I had heard what Cian said and it is a slight worry but I still think we are a better team this year as well as being overall fitter. The more I watch the game back I think it was more lost by us not having a game plan once Donegal got to grips with what we were doing. We needed to change things up a bit but perhaps we didn’t have the depth in the panel to do that. 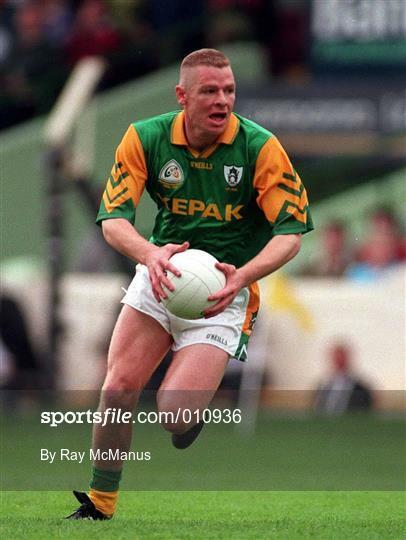 That said, once Donegal started to crowd in on Newman it gave McMahon a bit more space and he was doing well before his hamstring went. While Reilly is a good player to bring on he’s not the same type of player as McMahon and by his own admission isn’t fit enough yet. Getting held scoreless for most of the second half is a worry but it’s not like we didn’t have chances. Lads taking the wrong option when there were better ones on and a few dropping short or narrowly wide and it could have been much different. But if we’re to stay in Division 1 we need another string to our bow and we need to develop young lads like James Conlon and give them game time.